Internet social website Facebook recently detailed its plans to spread Wi-Fi internet connectivity worldwide through the use of large-scale drones. These plans come as a result of a merger with self-sustaining drone company Ascenta, whom had previously been experimenting with prototypes for large solar-powered drones. 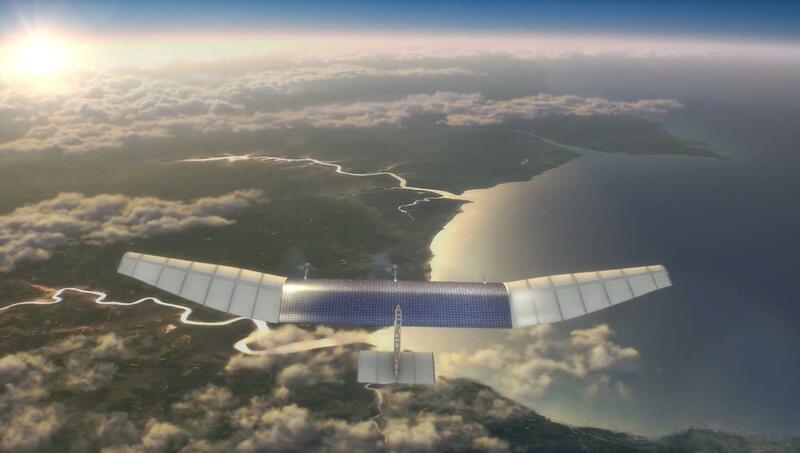 Facebook plans to use these drones, flying constantly at 60,000 to 90,000 feet above the surface, to bring Internet connectivity to people all across the world, especially in remote and unconnected countries and areas. The drones, which will be roughly the size of large jumbo jets like the 747, will be solar-powered and could potentially stay self-sustained and airborne for years at a time! In order to announce the upcoming project, along with their partnership with Ascenta and telecommunications companies, a short video was released by Facebook earlier this year that hints at future prospects of the project, as well as giving us our first look at a prototype of the craft. Facebook has announced their plans to begin testing these vehicles in US airspace by 2015, with worldwide deployment in three to five years. While details on this project are slim, people across the world can look forward to constant access to the internet and integral services if these drones take flight!